Officials say that 5 people have died in Rajasthan due to swine flu, the total number of dead reach 105. The deaths occurred in Barmer where two died, Ganganagar, Churu, and Bhilwara where one died in every village. 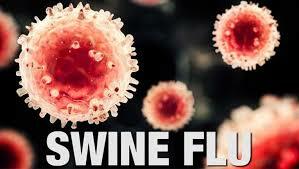 On Saturday, 61 people were tested positive in the flue, making the total number of swine flu patients 2,854. Most patients who tested positive in the flue were from Jaipur, they have 25. Sikar and Ganganagar had 6 each, and Udaipur had 4. Since the start of 2019, 13,639 patients have gone through the screening and 2,854 were positive in the flu. Raghu Sharma the State Health Minister requested the officials to give the “Tamiflu” tablets to all patients who are having the swine flu early symptoms. State Health Minister Raghu Sharma also asked the officials to continue the door-to-door screening for early detection. A special team has been assigned to monitor the most affected districts, this is being done to attain early detection of the virus and so that the residents will know the early symptoms.